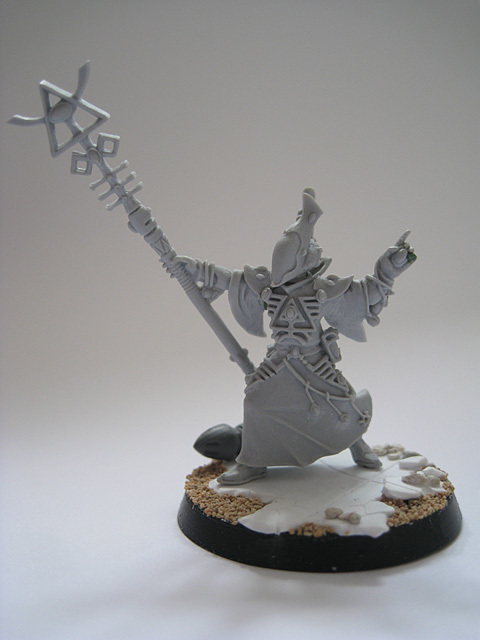 This was my first Finecast miniature, and I wasn't entirely disappointed with it (though it did need a lot of clean-up work). It required very little conversion as the design is excellent; expect of course for the much-maligned "bull's horns" hand gesture, which is distractingly out-of-place. It only serves as a reminder of the 80's when the Eldar were conceived and the Citadel team were listening to too much heavy metal. It's cliched and doesn't look at all alien. 1. 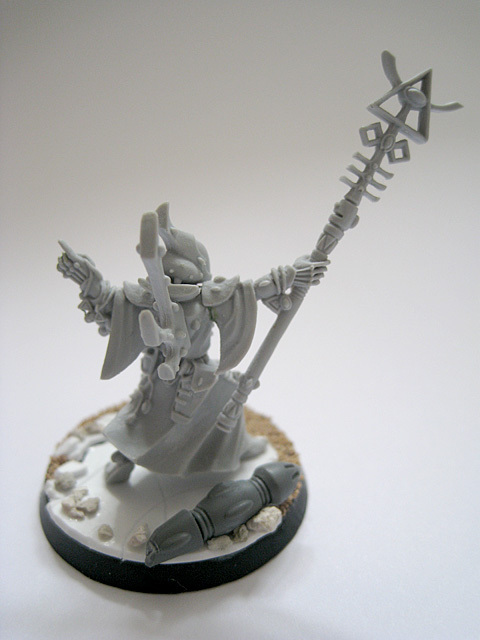 The small finger on the left hand was re-modelled slightly so that the Spiritseer is grasping the spiritstone in a more natural way. The hand's still not quite right, but I think it looks better than if all the fingers were grasping it. 2. 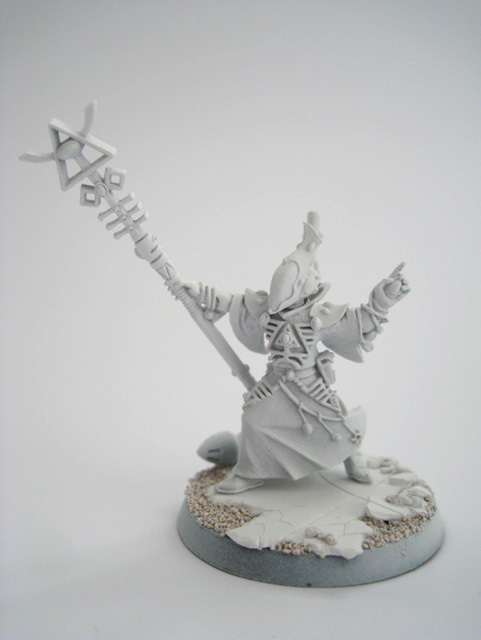 The base was made mostly from plasticard , with part of an Eldar War Walker; distressed to appear like a broken piece of architecture.